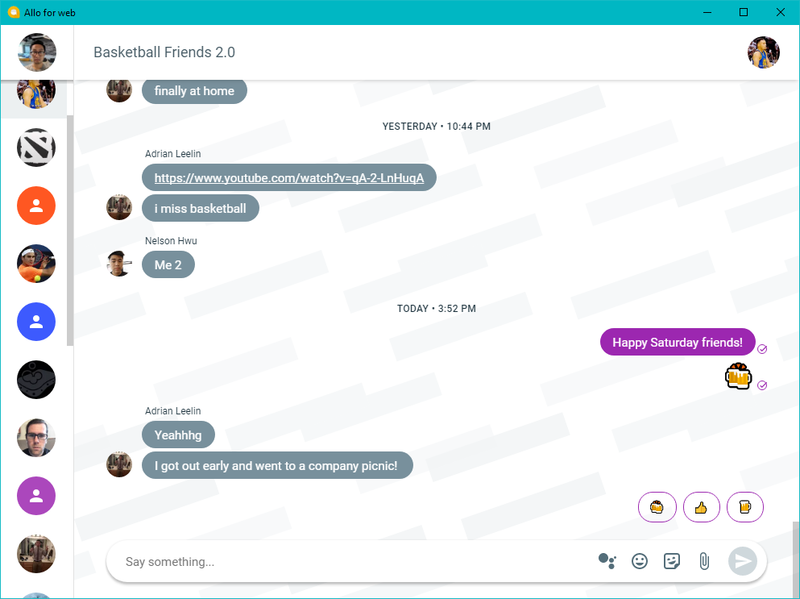 A native-like desktop app for Google Allo. Chat on your favorite OS for free! A native-like desktop app for your favorite platform. In both a light and dark theme. All the features you love, but now on your desktop. Use your OS's built-in notification system to make sure you never miss a message. Add it to your taskbar, dock, desktop, or create as many shortcuts as you'd like! Not a Google Chrome user? You'll no longer need to open Google Chrome to start chatting! 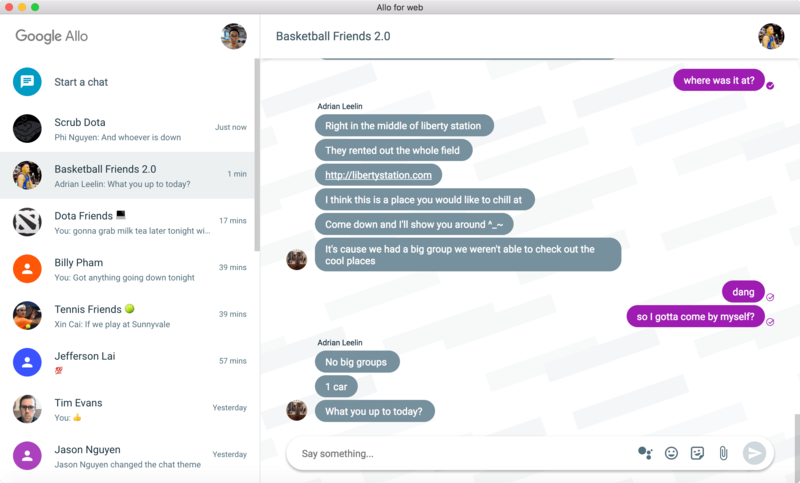 Allo for Desktop is an unofficial open-source project that was built as a wrapper around the official allo.google.com web client. It is built using the Nativefier command line tool. It works exactly like it does on Google Chrome, but as a standalone desktop application. This project is not affiliated with Google. By downloading Allo for Desktop, you acknowledge that it is not an official app and that it is not affiliated with or endorsed by Google.